Board of Directors | Manila Water Company, Inc. The Board provides guidance on achieving fairness, transparency, and accountability in all major financial and business dealings of the company, with the objective of equally protecting the interests of the investors, stockholders, and other stakeholders. Certificate in International Management, INSEAD, France. Light Rail Manila Holdings, Inc. Member, various advisory boards of Harvard University, including the Global Advisory Council, HBS Board of Dean’s Advisors, and HBS Asia-Pacific Advisory Board, Mitsubishi Corporation International Advisory Council, JP Morgan International Council, JP Morgan Asia Pacific Council, Council on Foreign Relations, Singapore Management University, and University of Tokyo Global Advisory Board. He was awarded the Presidential Medal of Merit in 2009, the Philippine Legion of Honor with rank of Grand Commander in 2010, and the Order of Mabini with rank of Commander in 2015 by the President of the Philippines in recognition of his outstanding public service. In 2017, he was recognized as a United Nations Sustainable Development Goals Pioneer for his work in sustainable business strategy and operations. The first recipient of the award from the Philippines, he was one of 10 individuals recognized for championing sustainability and the pursuit of the 17 SDGs in business. Manila Water Philippine Ventures, Inc.
Manila Water International Solutions, Inc.
Manila Water Total Solutions Corp.
Boracay Island Water Company, Inc.
Manila Water Asia Pacific Pte. Ltd.
Manila Water South Asia Holdings Pte. Ltd.
Thu Duc Water Holdings Pte. Ltd.
Kenh Dong Water Holdings Pte. Ltd.
Manila South East Asia Water Holdings Pte. Ltd.
Manila Water Indonesia Holdings Pte. Ltd.
UP Engineering Research and Development Foundation, Inc. Member of the Board of Trustees of UP Engineering Research and Development Foundation, Inc. Prior to Mr. dela Cruz’ recent appointment, he was Chief Operating Officer for Manila Water Operations (Manila Concession), President of Manila Water Total Solutions Corporation and President of the Manila Water Foundation. He joined Manila Water in July 2011 as the East Zone Business Operations Group Director and was concurrently Group Director for Corporate Strategic Affairs starting December 2011. Before joining Manila Water, Mr. dela Cruz was the head of Consumer Sales Group and the Consumer Sales and After Sales Group of Globe Telecom for two years, and was head of its Wireless Business Group for nearly seven years from October 2002 to June 2009. Prior to that, he was the President and General Manager of Kraft Foods (Philippines) Inc. for more than a year and the same company’s Country General Manager for its various operating companies in Indonesia for two years. Mr. dela Cruz also held senior leadership roles in Ayala Land, San Miguel Brewing Philippines, Inbisco Philippines and Unilever Philippines. He started his working career as a Junior Engineer in DCCD’s Mechanical Engineering Division in 1986. As one of the most accomplished graduates of his alma mater, he sits as a member of the Board of Trustees in various De La Salle Schools in the country. In 1997, Mr. Ablaza was the Chief Operating Officer of Globe Telecom, Inc. and became President and CEO from 1998 to April 2009. He was also the Chairman of the Board of Directors of Manila Water Philippine Ventures, Inc., Boracay Island Water Company, Inc., Clark Water Corporation, Manila Water Total Solutions Corp., Manila Water Asia Pacific Pte. Ltd, Manila Water South Asia Holdings Pte. Ltd., Thu Duc Water Holdings Pte. Ltd., Kenh Dong Water Holdings Pte. Ltd., and Manila Water International Solutions, Inc., and Innove Communications, Inc., a wholly owned subsidiary of Globe Telecom Inc. from October 2003 to April 2009. Mr. Ablaza was also the President of Manila Water Consortium, Inc. and Manila Water International Solutions, Inc., Vice-Chairman of Laguna AAAWater Corporation, and Chairman of the Board of Trustees of Manila Water Foundation, Inc. In April 2009, he was tasked to handle AC Capital as Deputy CEO and became CEO the following year. Before joining Ayala Group, he held several positions in Citibank: Vice-President and Country Business Manager for the Philippines and Guam of Citibank, N.A. for its Global Consumer Banking Business (1994-1997), Vice-President for Consumer Banking of Citibank, N.A. Singapore (1994 – 1995), Vice President for Consumer Account Management Group-Citibank Manila in 1986 and thereafter became the bank’s representative to the board of directors of City Trust Banking Corporation and its various subsidiaries from 1987 to 1994. In 2004, Mr. Ablaza was recognized by CNBC as the Asia Business Leader of the Year, making him the first Filipino CEO to win the award. In the same year, he was awarded by Telecom Asia as the Best Asian Telecom CEO. In 2013, he was recognized for his consistent leadership and innovation across the banking, investment, telecommunications and utility service industries through the Citi Distinguished Alumni Award for Leadership and Ingenuity. Mr. Ablaza was the first and only Filipino to be awarded with such an honor. 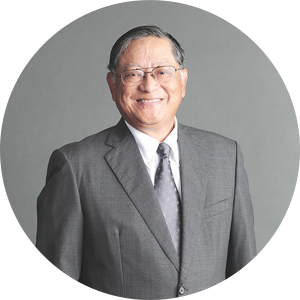 Mr. Aquino first joined Manila Water as Group Director for Corporate Affairs and was later appointed President and CEO in January 1999. He left Manila Water to take on the position of President of Ayala Land, Inc. from April 2009 to April 2014, but remained a Director of the Company. He was named “Co-Management Man of the Year 2009” by the Management Association of the Philippines for his leadership role in a very successful waterworks privatization and public-private sector partnership. 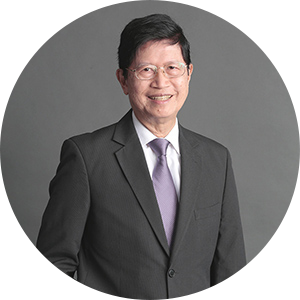 Mr. Aquino Has been with the Ayala Group in various capacities for the past thirty eight (38) years and has held the position of Senior Managing Director in Ayala Corporation. 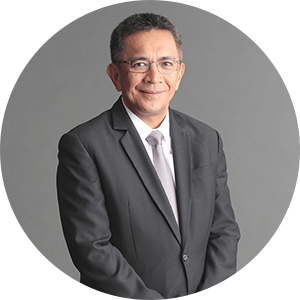 He was President of the Ayala Property Management Corporation from 1989 to 1999 and Senior Vice President of Ayala Land, Inc. from 1989 to 1998. He was also a Business Unit Manager at IBM Philippines, Inc. from 1968-1980. He is a also a member of the Multi Sectoral Advisory Board of the Philippine Army and the Multi Sector Governance Council of the Armed Forces of the Philippines and the Department of National Defense. In 2015, he was elected as Director of The Philippine American Life and General Insurance Company. AC Industrial Technology Holdings, Inc.
Vice Chairman and President of Asiacom Philippines, Inc.
Mr. Lazaro was named Management Man of the Year 1999 by the Management Association of the Philippines for his contribution to the conceptualization and implementation of the Philippine Energy Development Plan and to the passage of the law creating the Department of Energy. He was also cited for stabilizing the power situation that helped the country achieve successive high growth levels up to the Asian crisis in 1997. 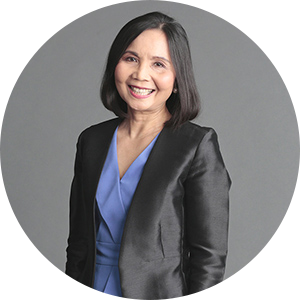 Member of the Board of Trustees, University of Asia and the Pacific Foundation, Inc. Prior to joining Ayala, Mr. Francia was involved in the fields of management consulting, academe and media. East Asia Computer Center Inc. Member of the boards of various subsidiaries of ALI and IMI and member of the board of trustees of Manila Water Foundation, Inc.
Ms. Nuesa was awarded the ING-FINEX Chief Finance Officer of the year for 2008. Commercial Management Study Program, Lensbury Centre, Shell International Petroleum Co., U.K. Program for Management Development, Harvard Business School, Boston, U.S.A.
Pepsi Cola Products Phils. Inc.
PLDT Communications and Energy Ventures Inc.
Sun Life Financial Phils, Inc.
Chairman of Meralco Industrial Engineering Services Corporation, CIS Bayad Center, Meralco Energy, Inc., Redondo Peninsula Energy, Inc., PacificLight Pte. Ltd., MRail, Inc., Spectrum Inc., and Atimonan One Energy Inc. Member of the Board of Trustees of Pilipinas Shell Foundation Inc., One Meralco Foundation, Inc., SGV Foundation, Inc., and El Nido Foundation, Inc.
Board of PHINMA, Inc., and Asian Breast Center, Inc.
Mr. Cuisia was Philippine Ambassador Extraordinary and Plenipotentiary to the United States of America and non-resident Ambassador to Trinidad & Tobago, the US Virgin Islands, Grenada, Puerto Rico, the Commonwealth of Jamaica and the Republic of Haiti, Antigua & Barbuda, Barbados, the Commonwealth of Dominica, The Federation of St. Kitts and Nevis, St. Lucia, St. Vincent and the Grenadines from 2010-2016. Before becoming Philam Life’s President and CEO for sixteen (16) years, Mr. Cuisia served the Philippine Government as Governor of the Central Bank of the Philippines and Chairman of its Monetary Board from 1990-1993. He was also appointed Commissioner, representative of the Employer’s Group, for the Social Security System (SSS) in September 2010. Mr. Cuisia was also Governor for the Philippines to the International Monetary Fund and Alternate Governor to the World Bank. Prior to service in the Central Bank, he was also the Administrator of the Social Security System from 1986- 1990. Philippine AXA Life Insurance Co., Inc.
Escuela Taller de Filipinas Foundation, Inc.
Don Norberto Ty Foundation, Inc.
Mr. Laya has served as Minister of the Budget; Minister of Education, Culture and Sports; Governor of the Central Bank of the Philippines; Chairman of the National Commission for Culture and the Arts; and Professor and Dean of Business Administration of the University of the Philippines. Mr. Hermosura assumed his role as Corporate Secretary of the Company on April 3, 2006. Mr. Hermosura has served as Managing Director of Ayala since 1999 and a member of the Management Committee of Ayala (Holding Company) since 2009 and the Group Management Committee since 2010. Group General Counsel and Corporate Secretary of Ayala Land, Inc. Member of the Board of Directors of a number of companies in the Ayala group. He is currently a member of the faculty of the College of Law of San Beda University. Mr. Hermosura graduated valedictorian with Bachelor of Laws degree from San Beda College of Law in 1986 and placed third in the 1986 Bar Examinations.